While visiting Coastal Virginia, there’s one thing you can be sure of – you will never go thirsty! Whatever your preference for sipping – craft beer, distilled spirits, or a fine wine – a number of adult beverage establishments have recently opened in COVA… and more seem to be popping up faster than you can say “Cheers!" Watch the video about our Toast the Coast trail. We've created a new traveler's guide to the ultimate beer, wine and shine trail in Coastal Virginia! This convenient pocket guide contains a map and categorized listings of breweries, wineries, and distilleries that stretch from Virginia Beach to New Kent County. This guide also includes instructions on how to participate in the 4 Taps 4 Cities Trail, where travelers are encouraged to collect stamps from breweries in different cities to earn Toast the Coast gear. Download the pocket guide or pick it up at one of the 10 breweries participating in the 4 Taps 4 Cities Trail. The guides will also be available at the Newport News Visitor Center (at the entrance to Newport News Park) and the Newport News Tourism Office. 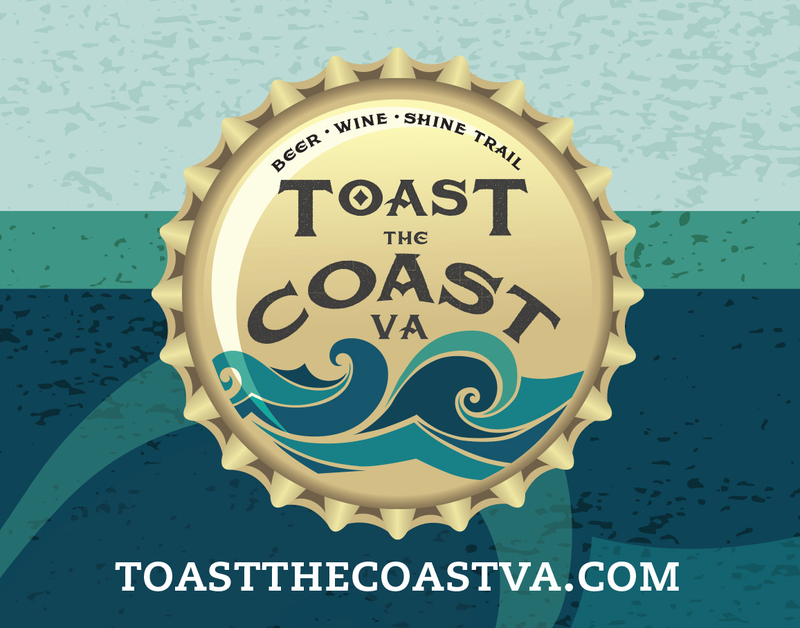 Download the Toast the Coast Pocket Guide and plan your trip with the interactive map below. Learn more about things to do, places to eat and where to stay when you come and visit Newport News. Need a ride? See below for transportation & tour options in Newport News and please drink responsibly.